Associate Member of Interior Design Society - Tri Valley chapter. Kenneth Larson and Kesign Design Consulting works primarily in the Los Angeles area with emphasis on the San Fernando Valley, Simi Valley, Conejo Velley, Santa Clarita Valley, North West San Gabriel Valley, east Ventura Country, and northern Los Angeles Basin including Hollywood and the West Side. Free one hour design consultation for Interior Design. Support Services to other Interior Designers. Kesign Design Consulting and Kenneth Larson provides both Interior Design services to the public as well as drafting, rendering, and modeling services to other Interior Designers, working in both traditional and computer aided techniques. Art for Interiors. I am producing photo art and other art for Interior Design. 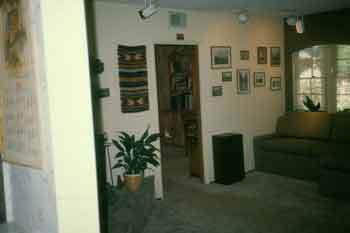 Interior Design experience includes several small restaurants, residences, theaters, and furniture. Current Project. Futuristic Home Remodel. Computer drafting for Interior Designer Suzzan Schmidt. AutoCAD © 2004, 2004. No job too small. These above and below four jobs, along with several others, are small drafting jobs assisting other Interior Designers. Computer drafting for Full Circle Interior Design. AutoCAD © 2004, 2004. 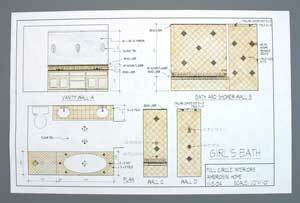 Computer drafting for Interior Designer Nichol Seca. AutoCAD © 2002, 2003. Design House, 2004. Marker and pencil rendering. 2004. This desk was designed for a Star Trek fan to incorporate three back-lit display panels from Star Trek that he bought at auction. 2003. 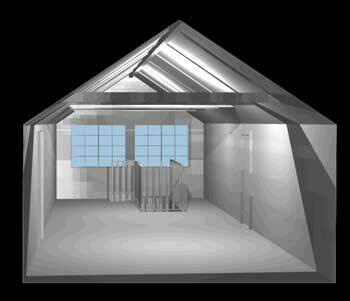 This computer model was created to assist in the interior design of a new interior for this existing attic space. A small patio cover that became involved because it was part of a condominium. 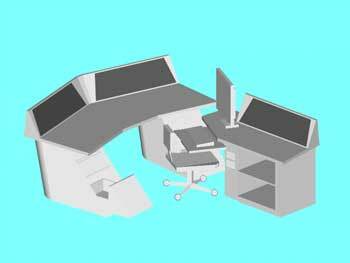 Budget Wedding Reception, AutoCAD Architectural Desktop © R3.3. 2002. We also produced table centerpieces and graphics. Set Designers 50th Anniversary Party, Autry Museum, Plaza. AutoCAD Architectural Desktop © R3.3. 2002. Pole House remodel, floor 1. AutoCAD Architectural Desktop © R3.3. 2002. Pole House remodel, floor 2. AutoCAD Architectural Desktop © R3.3. 2002. 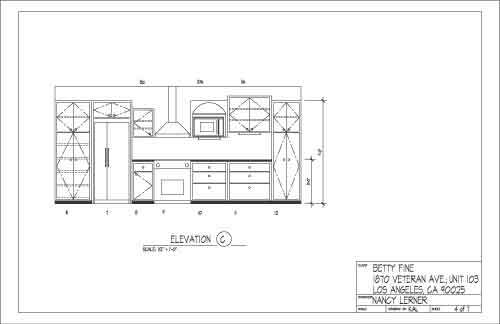 This is one of six sheets of a kitchen remodel for Interior Designer Nancy Lerner. AutoCAD ©, 2000. 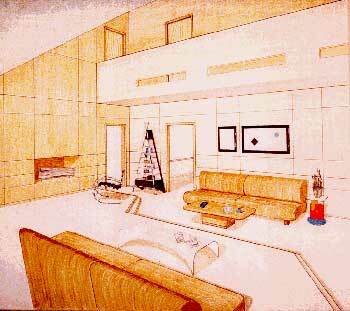 Marker rendering of a living room. 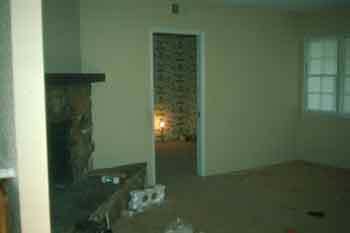 I designed this interior space for a film set, but it could have been a real home. 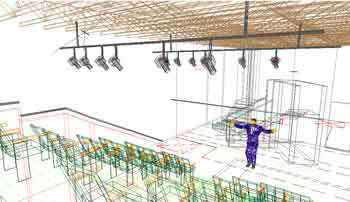 3D of one of many theater interiors while working with R. F. McCann & Co.
Rat Cellar "Hang Out" for CSUN Student Union. One of two Interior Design options for the space.Pencil. Enchanted Grotto "Hang Out" for CSUN Student Union. 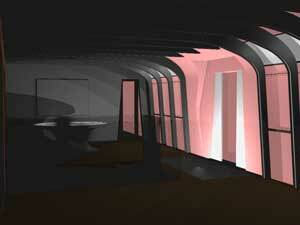 Alternate of two Interior Design options for the space. Pencil. Museum exhibit, Photographic Expose'. Pen and ink. Interior Design for a Children's Museum for Chino, California. AutoCAD © R12. 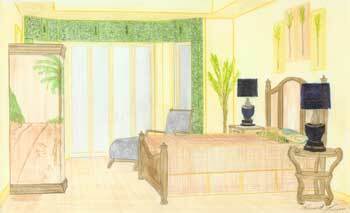 Interior Design for a low budget study space for the Vaugn Family Center, furniture/dividers. 1994. Vaugn Family Center, childrens play structure from inexpensive cardboard forms. 1994. We design and build custom furniture for Interior Designers. Space Buccaneer Restaurant. Part of a space themed restaurant. 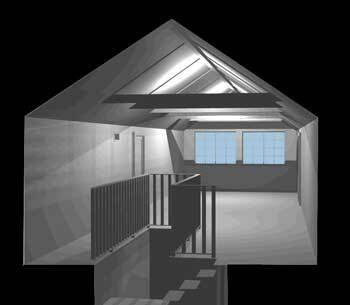 Before and after Interior Designs for one small house. Free one-hour design consultation on Interior Design projects. No job too small.